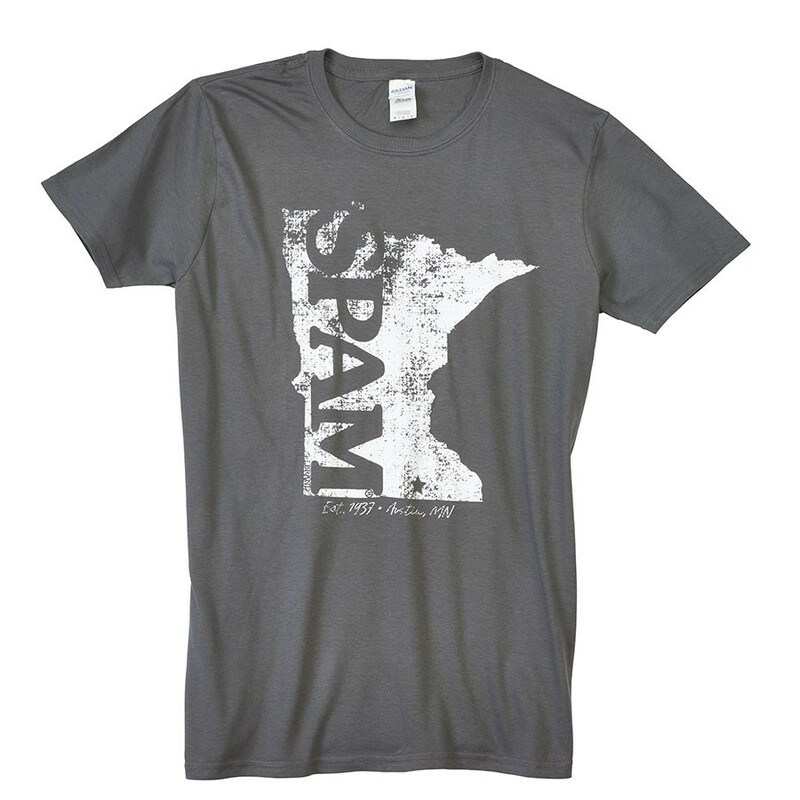 Grey t-shirt with white imprint of the State of Minnesota and wording SPAM® Brand and Est. 1937 & Austin, MN below. This is a distressed designed to look worn.